Kareena Kapoor Khan Said 'Yes' To Shah Rukh Khan's Next Salute? 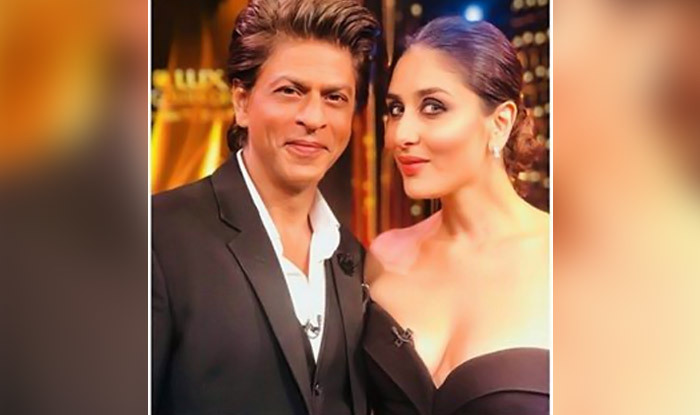 Home » मनोरंजन » Kareena Kapoor Khan Said ‘Yes’ To Shah Rukh Khan’s Next Salute? Kareena Kapoor Khan Said ‘Yes’ To Shah Rukh Khan’s Next Salute? After the success of film Veere Di Wedding, Kareena Kapoor is focusing on to give her child all her time and care. She earlier said that she will do minimum films in a year. At first offer, she refused to cast for film ‘Salute’, but as per the reports she is ready to do the film now with Shah Rukh Khan. Shah Rukh’s Film Zero is all set to release on 21st December 2018, its latest teaser was out on Eid. Zero also casts Anushka Sharma And Katrina Kaif. After this reports are there that Shah Rukh will start shooting for film Salute from September 2018. Salute is the biopic on Indian Astronaut Rakesh Sharma. Shah Rukh and Kareena last appeared together in the film ‘Ra.One’ in 2011. Bebo was resists that her role should be as strong as Shah Rukh in the film. Kareena would never compromise on the roles she would play. Now,according to the sources she said yes because her demand is completed by the directors. She is currently busy in pampering her child Taimur and spending with her family. On asking about her upcoming movies during the release of Film Veere Di Wedding She said “I am still thinking about it. I haven’t thought what I want to do next. So let’s see, Taimur is just 16-months-old”. Reporter : Kareena Kapoor Khan Said 'Yes' To Shah Rukh Khan's Next Salute? Shah Rukh Khan has a piece of advice for everyone who’s sad! किसी भी एक्ट्रेस के करियर में शादी कभी रुकावट नहीं लाती ! क्या आप जानते है कि बाहुबली में एस एस राजामौली ने कैमियो रोल किया?